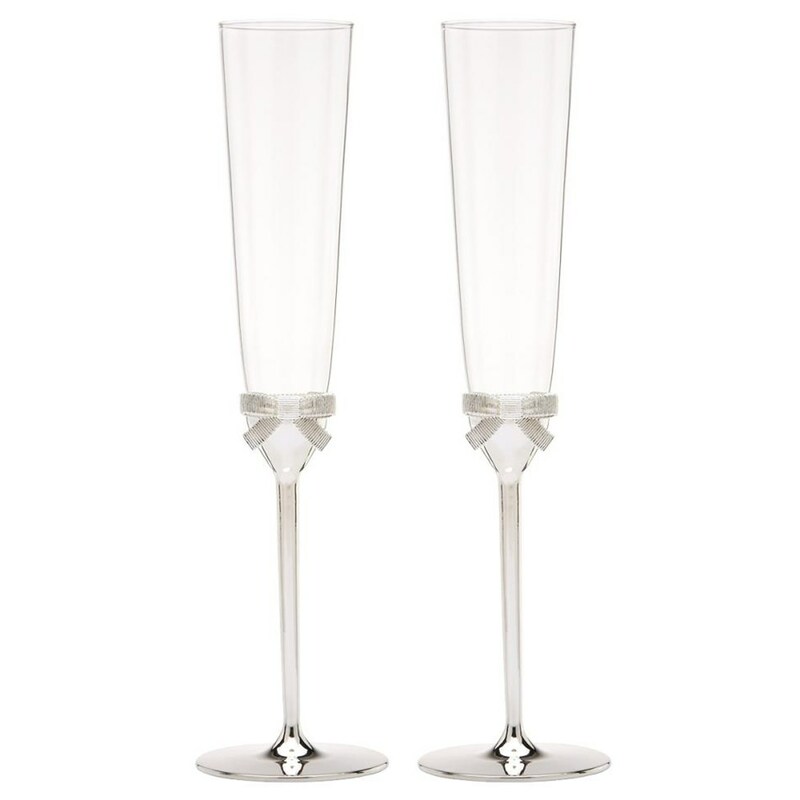 Raise a glass with this pretty pair of toasting flutes. In brilliant crystal with a silver-plated stem, we've finished each flute with a coordinating bow inspired by our favorite grosgrain ribbon. Silver-plated. Set of two champagne flutes.